This page shows archived posts for Gary J. Wolff's blog from October-December, 2012. 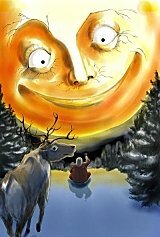 Dec. 25, 2012 - Merry Xmas, everyone!! I'm thrilled that NORAD Santa Cams caught Santa as he passed thru Japan, as well as in my home state of Texas. Yee Hah!! All 33 videos captured by Santa Cams around the world are in a playlist & can be viewed on NORAD Tracks Santa's YouTube channel here. 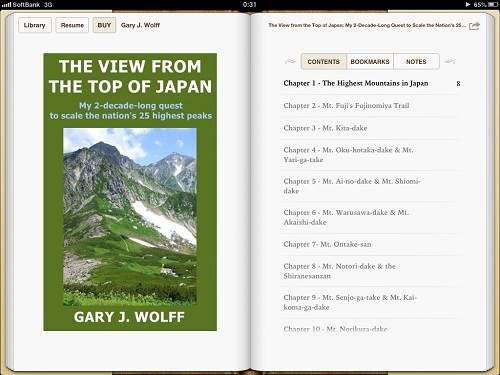 Dec. 17, 2012 - Christmas Sale on my new mountain climbing eBook, "The View from the Top of Japan"!! FOR ONLY $3.99 UNTIL CHRISTMAS DAY !! (To give as a Xmas present, click on "Give as a gift." This eBook will make a GRRRRRREAT stocking stuffer....besides, it even costs less than a bottle of cheap perfume! The 10th anniversary of the absolutely stunning Caretta Shiodome Xmas illumination light & music show is now in full swing, with shows every 20 min. from 5-10:30 every night till Xmas night (till 11 pm the 21st thru 25th). This year's magical LED show features 3D projection mapping of Xmas scenes onto the adjacent buildings in the Caretta Shiodome plaza. Just a few minutes walk from Shimbashi Station. My advice: go very early or very late, as it does get VERY crowded after most folks get off work. The best part: it's all FREE!! In Dec. ’94, which was shortly after I first moved to Japan, as a Xmas present for family & friends back stateside, I thought it’d be cool to record some of the usual sounds one might hear living in the world’s largest city. The other day I dug out the 18-y.o. cassette, dusted it off, and then digitized it w/ a few pics. Regrettably, the sound quality of the 3rd-generation audio leaves a lot to be desired. But nonetheless, hopefully for those who’ve never been to the Big Mikan, it’ll provide a quick glimpse into the fascinating local culture, as well as give those who’ve already had the pleasure of living here before a good chuckle or 2. Happy holidays!! Shortly after I first moved to Tokyo nearly 22 yrs. ago, it was my good fortune to stumble upon a tiny little karaoke shop directly across the street from Takadanobaba Station. Now this was not just any karaoke bar....it was the famous PUB ELVIS. Pub Elvis was not only a karaoke bar with a remarkable 3000 English songs (quite unusual to have SO many in those days), but because its owner, Aki Sasaki, is a BIG Elvis Presley fan, Pub Elvis was like a museum, with Elvis memorabilia visible everywhere....photos, posters, license plates, videos, an Elvis Confederate flag, you name it. Well, naturally the place attracted other Elvis fans & even Elvis impersonators, and live bands often played there. Pub Elvis was even once featured in an ABC news report by veteran newscaster Forrest Sawyer and Tokyo TV personality Dave Spector, on the occasion of one of the frequent Elvis impersonation contests held there. If that weren't enough, even my mom & dad had a chance to sample Pub Elvis mania during their '95 visit to Tokyo. And one of my all-time favorite keepsakes from Pub Elvis is the audio cassette of my 40th birthday party held there, which became a Xmas present to my family and friends that year. Well, sadly the shop closed down sometime in the late 90's after Aki decided to move to Germany & study classical guitar under a German guitar master. But on Sat. night, Nov. 24, 2012, a karaoke reunion party was held where many of the former customers, fans, performers, & shop staff attended. Many of participants are pro singers, and some of them Elvis impersonators; so needless to say, with all the free-flowing booze, it was a pretty electric karaoke atmosphere, with most everyone really letting their hair down. And I was absolutely thrilled to see there my all-time favorite Elvis impersonator, Aaron-san (Aaron was Elvis' middle name), in such top form. After all these years, he hasn't skipped a beat, and the only thing missing Sat. night was his signature white rhinestone jumpsuit and a few more gaudy rings. I believe that you will agree, he looks, sings, and performs just like the real Elvis. Perhaps his best song Sat. night was "You Don't Have to Say You Love Me" @ the 47:31 mark. 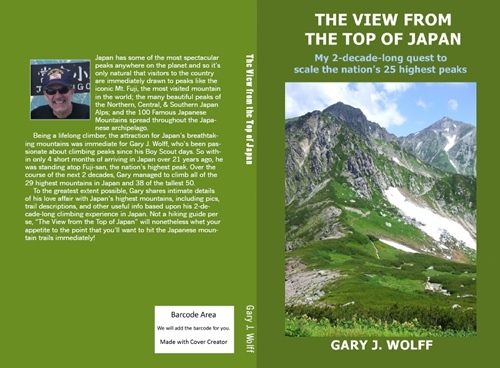 Nov. 18, 2012 - "The View from the Top of Japan" now available as a paperback from Amazon!! Today was Day 1 of a 6-day celebration of the 50th anniversary of Ichikawa, Chiba's Sister City relationship with Gardena City, California, USA. As part of the celebration, a photo exhibition is being held in the 45th floor Observation Lobby of I-Link Town Ichikawa's West Tower, 1 min. from JR Ichikawa Station. The 3-min. sunset starts @ the 10:34 mark. I was hoping to catch Diamond Fuji, but I was a few days too early. 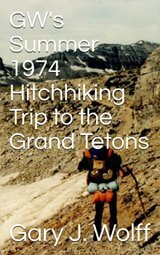 "The move comes as limited public funds amid a recent mountain-climbing boom--especially among young female climbers called "mountain girls," the middle aged and elderly--has squeezed the finances of the local government, particularly in regard to expenses related to mountain conservation and alpine safety." 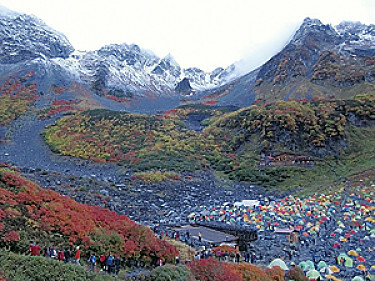 The following interviews were conducted in Dec. 2009 by Kanae, a junior at Showa Women's University in Tokyo, as part of her class project to produce a weekly 15-min. radio show interviewing foreigners living in Tokyo. The radio show was called "What's Up Setagaya?" and broadcast on FM Setagaya 83.4 MHz. Greg's amazing fresh fruit-decorated birthday cake arrived @ around the 21:20 mark.